4 Beds 3 Baths 1 Partial Bath 2,385 Sq. ft. 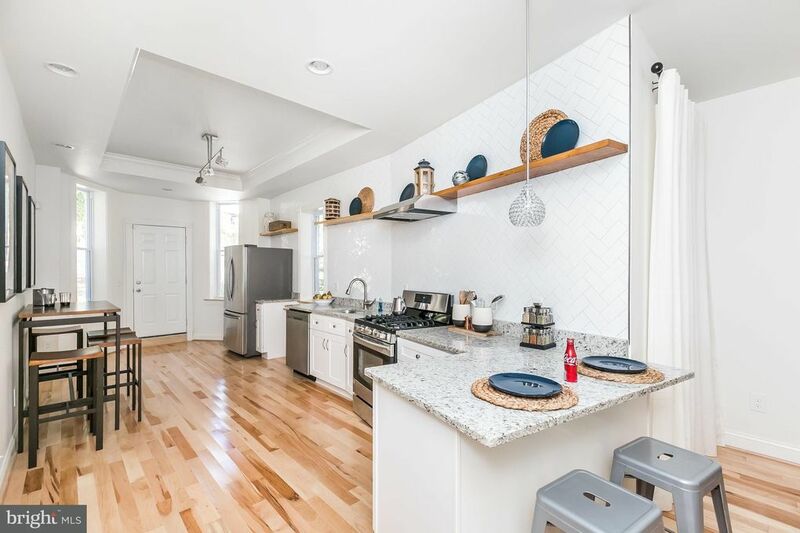 Fantastic renovated home in Historic Reservoir Hill w/2 Car Parking. 4 Bed, 2.5 Bath. High-End Finishes, Gourmet Kit w/High-End Finishes incl Herringbone Subway Tile & Granite, Large Master Suite with Walk-In Closet and Spa Bathroom, Tray Ceilings, 1st Flr Laundry Rm, Zoned HVAC, Lg. Unfinished Basement 4 Storage. Get B4 it's too late-Lg development project coming! Steps to MARC Train & Lt. Rail!